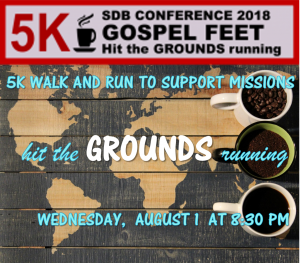 Seventh Day Baptist Missionary Society» Blog Archive » Gospel Feet 5K – Ready…Set…Kenosha!! Gospel Feet 5K – Ready…Set…Kenosha!! All is set for this year’s “Coffee Themed” Gospel Feet 5K at General Conference, Carthage College in Kenosha, WI. It will be more than a race; it’s an opportunity for all to participate in supporting the Society sharing the Good News globally. There will be 3 events: (1) The Daily Grind: purchase overpriced coffee to keep you for the week. (2) Americano Warrior: work through the stages of coffee making. (3) Gospel Feet 5k Walk/Run: Run or walk the 5K course on Carthage College’s lakeside campus, is scheduled for Wed. August 1st at 8:30 pm, a night event, giving everyone the opportunity to run, walk, or cheer from the sidelines. The more you participate, the greater your chance of winning the K-Cup Trophy! You can run, sponsor a participant or just give to the GOSPEL FEET 5K fundraiser. 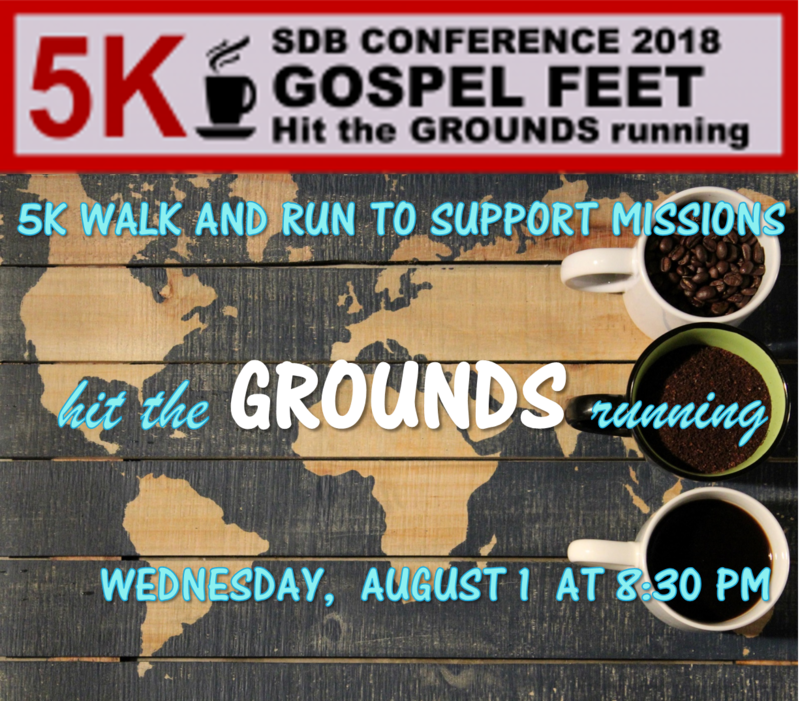 TO REGISTER: visit sdbmissions.org and select the 5K walk/run, obstacle course, t-shirt or all 3! Registration will also be available throughout conference week & at the start of each event.